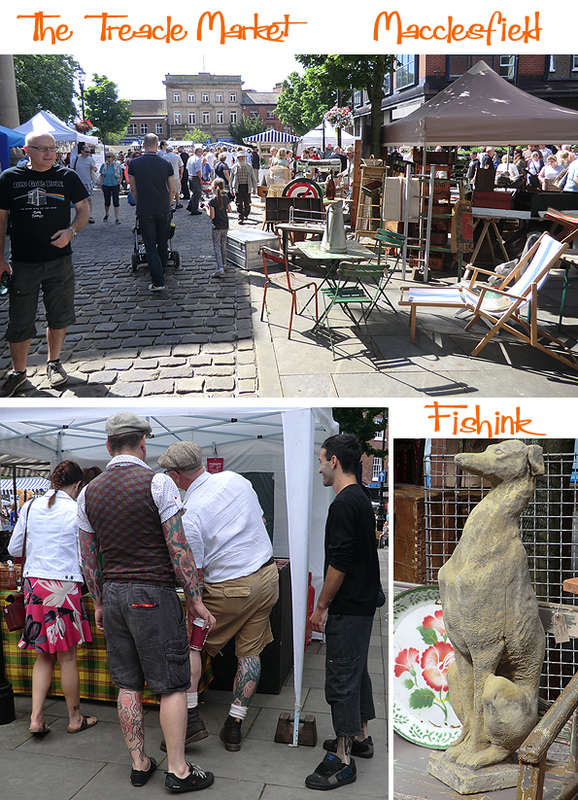 Fishink at the Treacle Market, Macclesfield. 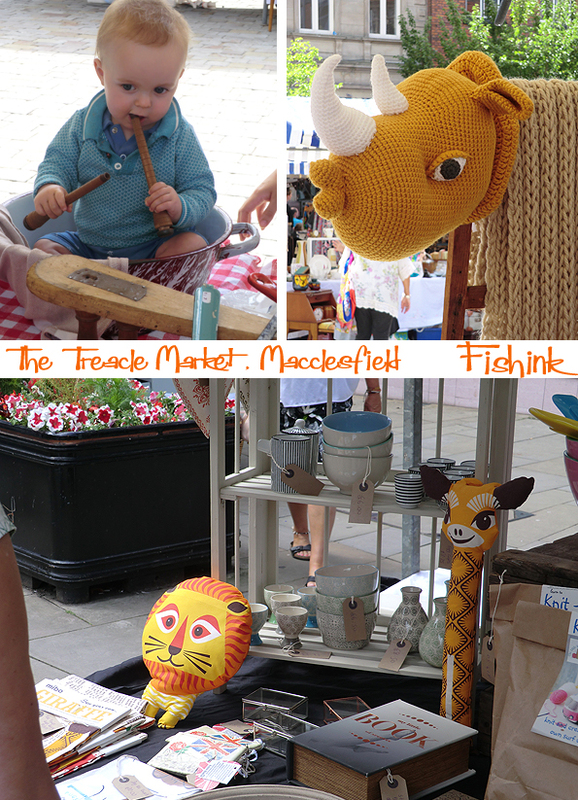 This little chap was very happy sitting in his tin bowl, and I kept spotting animals everywhere, even knitted ones. The story goes, that centuries ago, a horse drawn wagon lost a wheel on the cobbles and spilled it’s treacle all over the streets. 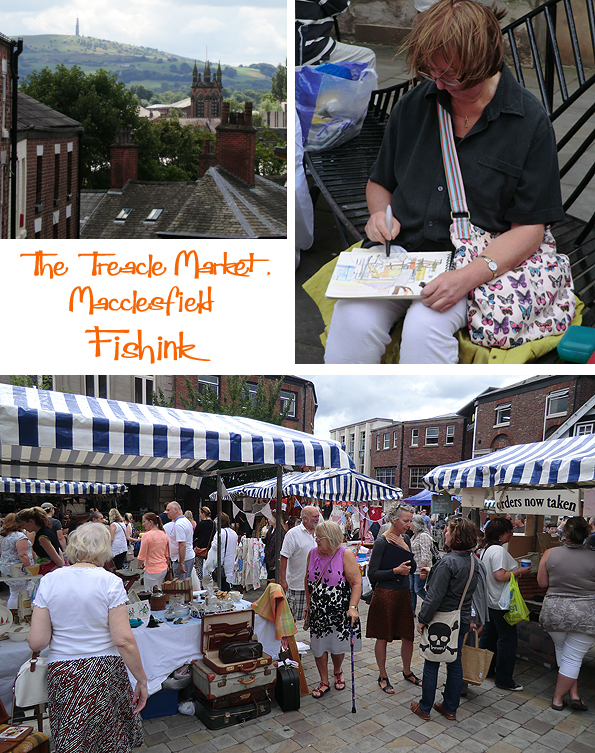 Hence why Macclesfield got the nickname of Treacletown ! Great to see people sketching on the streets too. 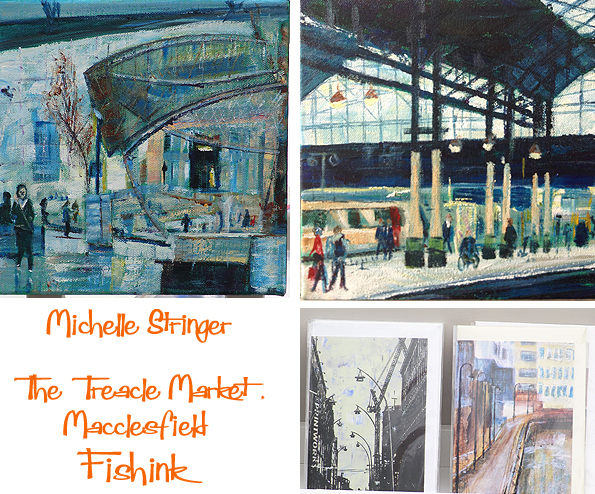 I spotted this lovely work by local artist Michelle Stringer, who’s paintings and collages were colourful and slightly Lowry-esque. 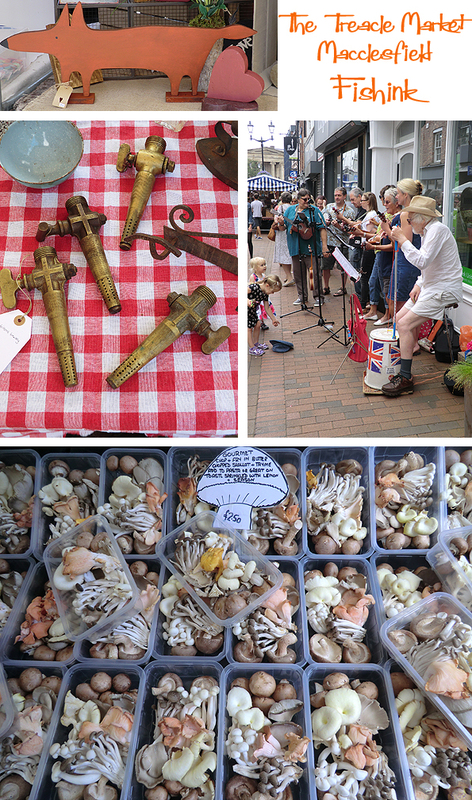 This band of Ukelele players were drawing in the crowds too, some interesting antiques like these pub taps and lots of beautiful foods like these mushrooms. 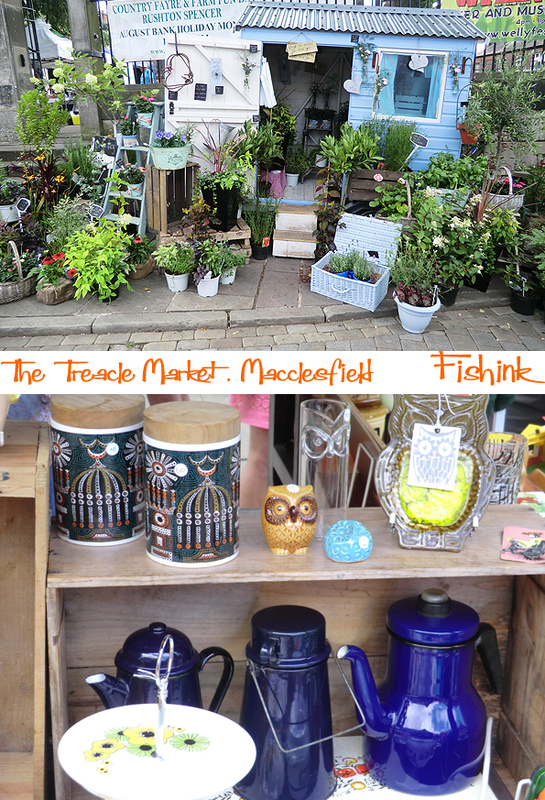 This lady’s plant stall really caught my eye. What a beautiful display ! This was my prize find of the day, a jug with a 50’s or 60’s design from Heron Cross Pottery, right up my street. 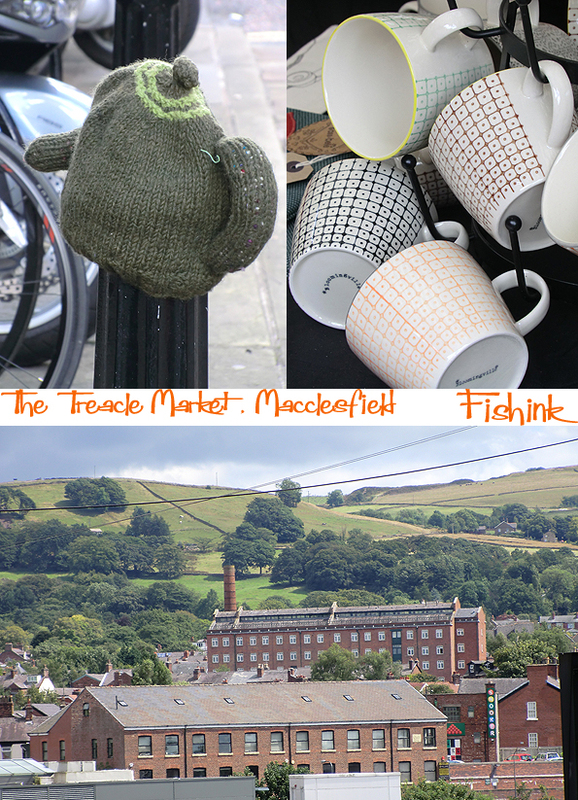 A great day out if you fancy somewhere new to discover, and plenty more to see in and around Macclesfield too. Thanks to my friend Paul for the suggestion. 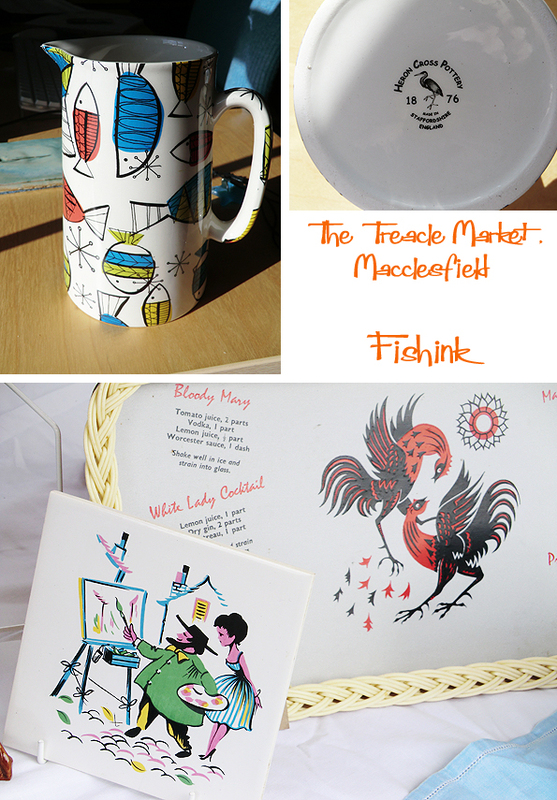 I love to attend open air markets such as this. There is excitement and anticipation in the air! 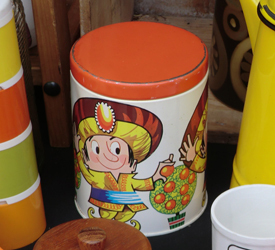 Yes, you have a wonderful, colorful find! I like it too.